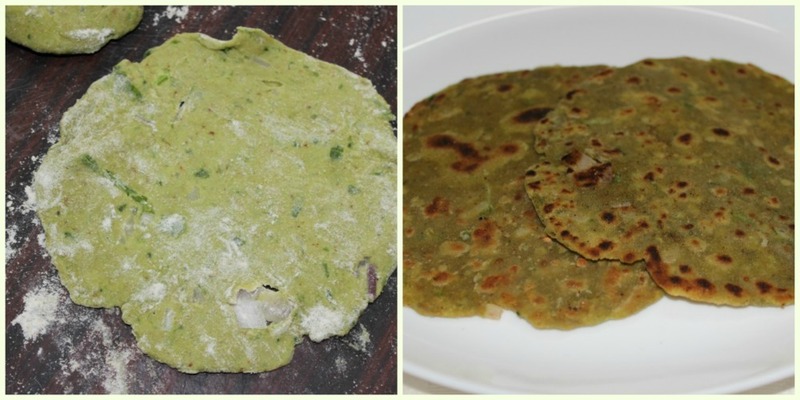 Palak Paratha or Spinach Paratha is made by mixing Palak pulp with wheat flour.The best way to include greens in our kid s menu is to make these bright green coloured parathas.Very healthy and tasty paratha which can be made for a evening snack too. 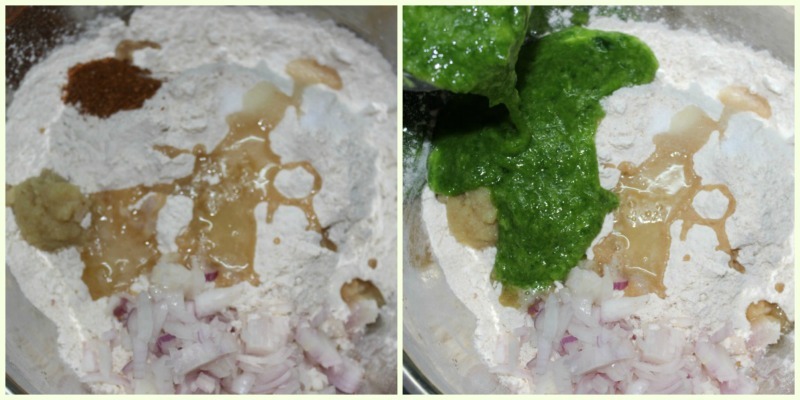 Take the Palak leaves ( half bunch) in a mixer ,add 3/4 cup of water and grind it to a paste.Now in a mixing bowl ,add wheat flour,palak pulp,garam masala powder,ginger garlic paste,oil,salt and mix them well.Add water as per requirement. 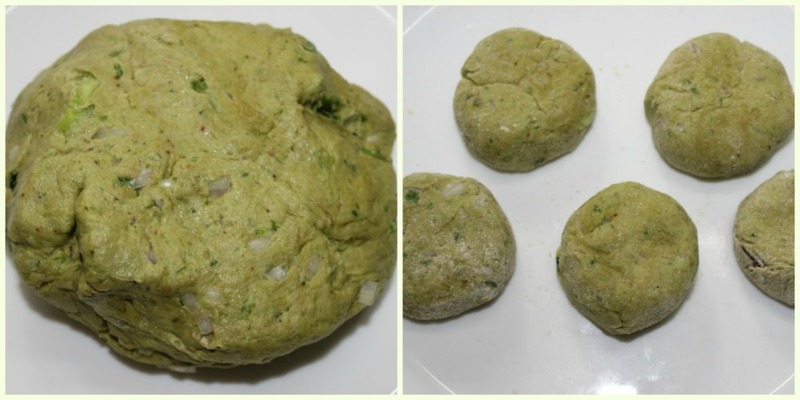 Knead them to a smooth dough ,keep it aside for half an hour.Then make small balls out of the dough. 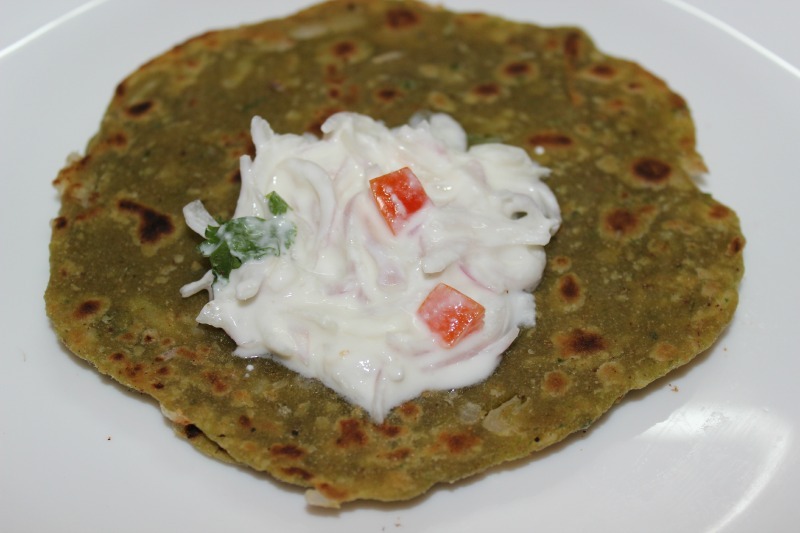 Dust some wheat flour and roll out the balls into small circles.Heat the tawa ,place the rolled out dough cook on both sides with oil/ghee in medium flame. 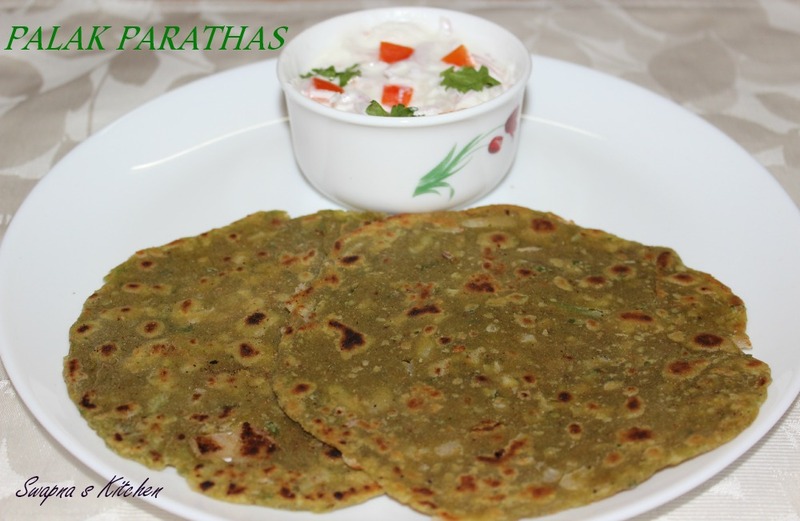 Serve the Spinach Paratha with raitha.